It's a hard life, when everyone hates you. But it's a burden we choose to bear. Our greatest curse, and our greatest blessing. We are the famous CFC! 1. For starters: when people say "Chelsea is a girl's name," you know you'll never speak to them again. They will never be worth your time. Ever. 2. 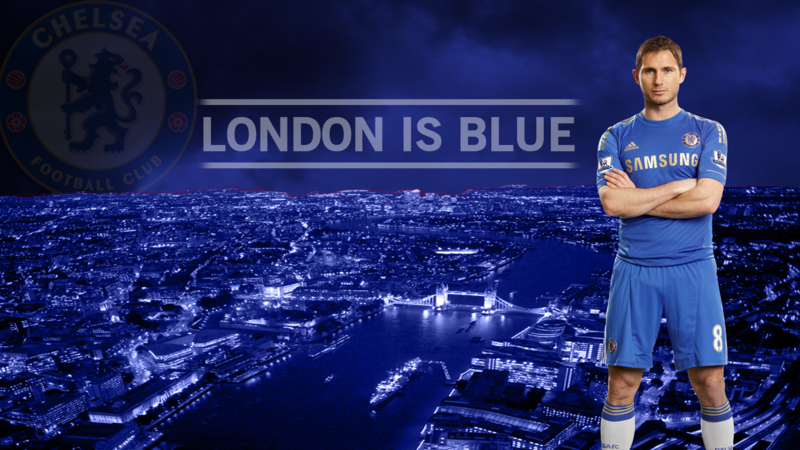 And of course, we all know Eden Hazard is the next great thing in the Premier League. 3. It's a fact of life that when Mikel scores, it's a guaranteed win. Actually it's not that strange. Not at all. But you catch yourself before the 4th line. Kids, you know. 6. You often point out that our army of attacking midfielders is ABSOLUTELY necessary. 7. Transfer rumors mean nothing anymore, because let's face it, everyone has been linked to Chelsea at some point in time. It's a tough life, being on top, isn't it? 8. You feel the need to defend your loyalty by emphasizing that you were a fan before Abramovich showed up. 10. You like to drunkenly talk about the prospect of someday settling down in West London. 11. You never stop defending the actions of John Terry and Ashley Cole. Look, everyone makes mistakes, ok? Sheesh. 12. You always roll your eyes when pundits claim they've found the next Drogba. There is only one. There will only ever be one. 13. After much practice, you can finally pronounce "Azpilicueta" flawlessly. And you also pounce on the opportunity to correct others when they screw it up. 14. You take it personally when people call these guys "little." 15. It's no secret that Chelsea has the best hair in international football. 16. Regardless of your sexual orientation, you TOTALLY have a thing for this guy. I mean, seriously...how do you say no to this? 17. So naturally, you never miss his press conferences. Life has its priorities. This is one of them. 18. Everyone says that these are "good guys" but something just doesn't feel right about it. 19. You've had to explain to your friends why the term "Fat Spanish Waiter" brings back bad memories. 20. Whenever Liverpool fans bring up Torres, you automatically respond with "Andy Carroll." 21. And you certainly ignore any childish squabbles of the trophy-less north London rivals. 22. And throughout all the referee conspiracies, abuse from other fans, club drama, and tough times...you always Keep The Blue Flag Flying High.